The first mat in the three-mat system. Place at the outside entrance to prevent soil and water from entering the building. Protects flooring from costly damage while also guarding against falls caused by dirty, wet or slippery floors. Slip-resistant backing holds mat firmly in place. The first mat in the three-mat system; place at the outside entrance to prevent soil and water from entering the building. Protects flooring from costly damage while also guarding against falls caused by dirty, wet or slippery floors. Beveled edges reduce tripping hazard. 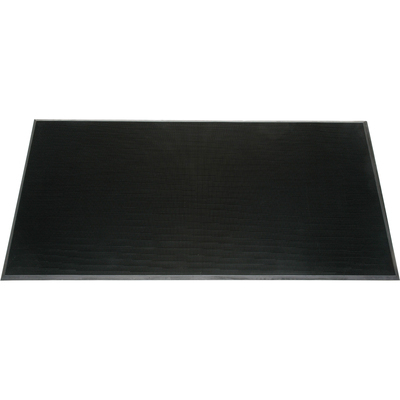 Slip-resistant backing holds mat firmly in place.